The Top 5 BEST OPI Nail Polish Gift Sets – Perfect for All Occasions! There are many brands that are close to my heart. OPI is one of them. The OPI nail polish set was in my arsenal of go-to products when I was a fresh-faced nail technician many years ago, and the magic is still there. OPI, a division of Coty, provides high-quality products and services with a focus on innovation and nail health. Known for its exceptional formula, fashionable colors and iconic names, OPI’s heavily-pigmented lacquers are super rich, long-lasting, and chip-resistant. Available in over 100 countries and being introduced to more every day, OPI offers a full line of professional items, including nail treatments, finishing products, lotions, manicure/pedicure products, files, tools and acrylics. If you’re excited about Disney’s Nutcracker, you will adore this movie-inspired nail polish collection from O.P.I. This pack comes with my favorite shades; sparkly Ginger’s Revenge and the passionate red, Thinker, Tinker, Winker. 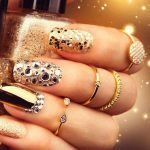 But with a full and impressive set of shades, including some lovely glitter polishes, there is something to suit every taste, and every occasion. And if you’re going traveling any time soon, just pop this in your purse and you’re ready to go! A super cute yet classy Disney tribute that you can wear anywhere. This dreamy O.P.I mini collection will make you look pretty everyday. As we nail-obsessed know, there’s nothing better than a catchy name for our favorite shade. Beautifully opaque, theses polishes slide on easily and remain looking great for over two weeks. O.P.I never disappoint and their soft pastel collection is another best seller. Today I'm wearing It's In The Clouds. Girls, what's not to love? This mini collection is pretty, cool and unusual – perfect if you love standing out of the crowd. These gorgeous pastels will make you feel instantly relaxed and are perfect for the beach, casual parties and chilling out at home. Brushing on smoothly, my nails only need a couple of coats before adding the top coat, and they looked perfect for nearly three weeks! I can't get enough of this collection. It's different in all the right ways - and you're guaranteed to get compliments on your nails. This is another classically pretty nail polish collection for any occasion. This pack comes with a primer and four beautiful colors that will take you from summer to winter. My favorite is the luscious Mrs O’leary’s BBQ. What I love is that all of these shades are so elegant that you can easily wear them everywhere, from office parties to nights out and as they remained perfect for over two weeks, you’ll have plenty of time to attend all those events. I quickly fell in love with these popular shades. Beautiful, elegant and something that can take you from day to night and season to season. You can't go wrong. Last but not least, it’s not a gift set, but I couldn’t help but include my all-time favorite O.P.I shade: At-Rose, Before Dawn. You will love this if you’re a big user of red nail polishes, but want something with an edge. This beautiful rose color includes a frosting effect that looks simply stunning as a manicure or pedicure. Make sure you get yours, before it sells out! Rose At Dawn is one of O.P.I's most popular shades of all time, and thanks to its timeless beauty, it won't be going out of style. OPI Nail Lacquer, A-Rose at Dawn.Broke by Noon, 0.5 fl. oz. The Best Nail Decorations of April, 2019 – The Top 5 Countdown Begins! HEY! I'M KARA . . . I own and operate this place. For those of you who are interested, I'm a 30-something (don't ask!) mother and wife who worked as a nail tech before giving it up to pursue my passion in blogging as well as helping salon owners reach their goals. My goal with We Heart Nails simple: to use my first-hand experience running a nail salon to make nail salon product recommendations. I have fostered some great relationships with brands in this industry, and endevaour to give impartial feedback on the products I review. I aim to update my review pages every quarter (three months), but if a product emerges that takes the market by surprise, then you'll be the first to hear about it (through me, of course!). If you have any questions or comments, you can email me at [email protected], or find me on social media. Would love to hear from you! ©2019 We Heart Nails. All rights reserved.